Rupert Murdoch's possible interest in selling his movie studio and cable-TV operation to Disney could be a sign that the growing pressure from tech giants like Netflix and Amazon is getting painful, according to several experts. 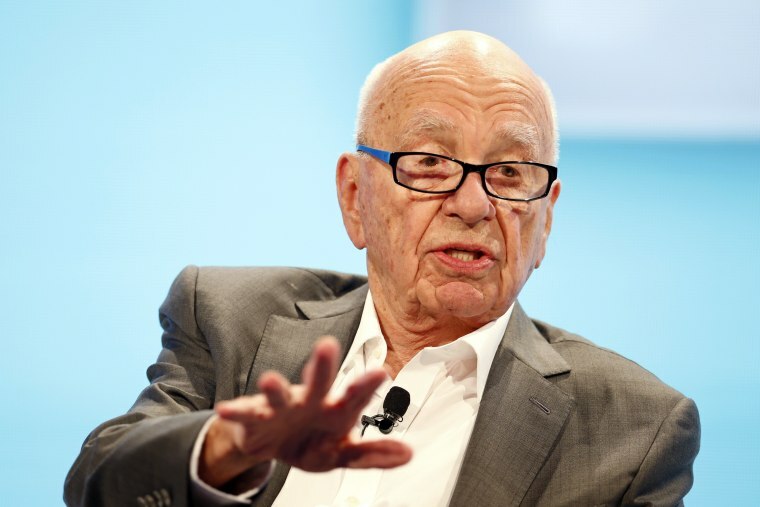 On Monday, CNBC reported that 21st Century Fox, owned by Murdoch, has held conversations with Disney about potentially selling the Fox studio, its international operations and its British pay-TV company Sky. CNBC noted that the talks are not current but could restart. “They’re getting rid of the most attractive aspects of the empire," said Eric Jackson, a media industry investor who owns EMJ Capital in Toronto. "Disney wants the most attractive cable assets and the movie studio, so it is direct reflection of increased competition that Fox faces and that they are too small to compete as they stand currently." The news comes just a day after the United Kingdom’s communications regulator, Ofcom, criticized Fox News for its lack of impartiality. While the channel is no longer carried by the British pay-TV company Sky, it is another sign that 21st Century Fox’s attempt to acquire the balance of the satellite broadcaster the isn’t going well. “Think about the future of entertainment media," said Aaron Shapiro, chief executive of Huge, a digital ad agency. "There are only so many places people will buy to get their shows and Netflix is way ahead of that." As Netflix discovered, he said, subscriptions are the new way to pay for entertainment, as opposed to the advertising model that has built the Fox system. "That underscores the pressure more and more companies are under to be both creators and distributors," Shapiro said. For Disney, a potential deal would give it the kind of content it might need to supercharge its much-discussed streaming service, intended to challenge Netflix, which will lose Disney's content. Netflix just weeks ago told investors it would spend $8 billion this year on content. Amazon, Apple and Facebook have all separately committed to spending billions on entertainment content to boost video viewing online. If a deal were to happen, Disney would gain control of Hulu, which charges customers to stream television and movies, leaving Comcast and Time Warner holding minor positions in the site. (Comcast owns NBC News, via NBCUniversal.) Disney already owns most of a streaming technology platform called BamTech, which streams ESPN content. Fox stock jumped 9.93 percent in the regular session closing at $27.45, still off from its open at $28.42 on January 1. Jackson said the deal would be fabulous for Disney, noting that the company already has 25 percent of the North American box office, and that Fox would bring some interesting franchises such as Avatar and Avengers characters. Neither Fox nor Disney reps returned emails and calls for comment. Both Fox and Disney report earnings this week and some see the news as a trial balloon that could flush out other parties. Apple had flirted with acquiring Time Warner at one point. It too, is at the table looking for content with a $1 billion war chest. Verizon has said it wants to be bigger in the content game, given AT&T’s move to acquire Time Warner. Should Fox execute the deal, there is speculation about whether the remaining pieces would be merged back together with the publishing company, News Corp. They were spun out in 2013.